I’m attending the IFWE 2016 conference in San Antonio, TX and live blogging sessions. It’s Thursday morning, and sunny and cool in San Antonio! Description: Are you stuck trying to find ways to improve your online classes? This session is designed to provide educators ideas on how to build an inviting learning space for their online classes using discussion forums tool. The presenter will show attendees how to incorporate OER and apps into discussion forums. You aren’t just overseeing – you are engaging with the students. Social presence in discussion forums can build community, encourage deep reflection and learning, develop analytical skills, encourage the student to be the teacher/expert, and to have them apply concepts directly. Give the adult learner opportunities to share their professional experience with the course. Online learning activities need to be aligned to the outcomes. The discussion forums are assessed as formative assessments. Book recommendation – Teaching With Your mouth shut – this would be a great option for our faculty book clubs. When students email you a lot, it’s because you’re not clear. Need more specifics added to the course if you are getting too many emails with questions about the course. Include video clips within the discussion forum – and then set up very specifically what the students are supposed to do and when to post etc. Transcripts for video clips – accessibility. There are poems and books and speeches in Spotify as well as music… can embed in the LMS for your students… (students will have to get an account though – but you can have them do that at the beginning of class); presidential speeches are in there too! She uses Google Forms for an “exit ticket” – asking students what they learned in class today – if they have any questions. Very quick feedback ending that day/session/module. Nice idea! With a catchy thumbs up/down graphic. Padlet for thoughts on the course – they can put their name or not – and they can see what everyone else says. This takes an open and courageous teacher! Create a discussion forum for “study room” or “student cafe” – create a place for students to talk to each other. She has a photo with the discussion forum to make it more inviting and friendly. Her specific Padlet strategies were a big hit! The idea of embedding each tool / resource so that students are all in one place in the LMS. Today I’m presenting for the faculty of Burman University in Lacombe, Alberta, Canada. This post has the accompanying resources. Why Implement Blended Learning in the Classroom? Photo by AJ Gulyas. Creative Commons Attribution License. 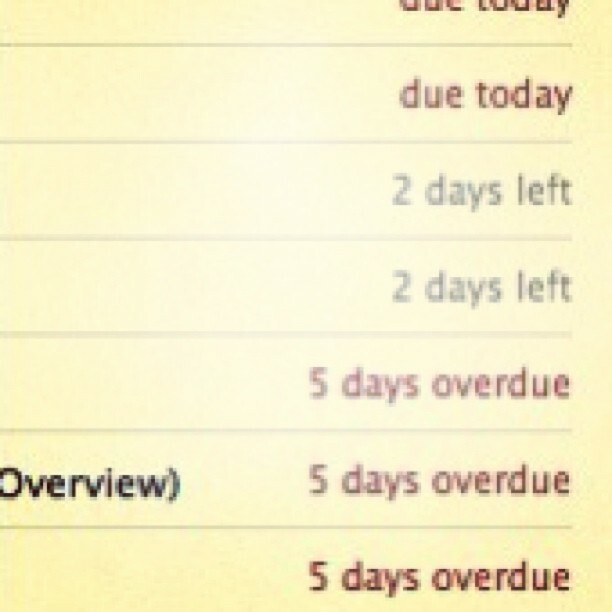 Lately I’ve been thinking about procrastination in online courses. Procrastination can be caused by so many things – feeling inadequate for the task, a sense that the task is hard, deciding that other things are more important. Have you noticed in your email habits that you tend to answer the easy questions, but if someone asks a hard question, you put it off? It’s easy to procrastinate on just about anything, but doesn’t it seem like online learning exaggerates our procrastination? We get done what’s in front of us, what’s staring us in the face. But our distance learning is online, in the cloud, on our app. Easily ignored. Easily put off for another day. What does it take to keep our distance learning right in our students’ faces? In mobile learning, apps like DuoLingo notify the user daily with a reminder to practice their learning. In online courses, for both K12 or higher education, teachers can design frequent, low-stakes grading, using quizzes, practice quizzes, or short assignments. In corporate training modules, content could be broken up into smaller, micro-lessons, with content and an engagement activity included in lesson. In healthcare, remote patient monitoring can be embedded with regular tips and mentoring to assist patients with improving their health, such as Tactio Health, an app that provides digital coaching along with self-monitoring and/or remote monitoring. In videoconference learning, such as courses or enrichment by content providers, learners probably don’t procrastinate during the live lesson. That’s the beauty of live, synchronous learning. However, there may be assignments or pre-work that is easily put off. Small, easy to manage, learning bites and activities can reduce procrastination or disengagement. Feedback and monitoring. Tullis and Benjamin (2011) suggest that students need frequent feedback to help them learn to monitor their learning. If they have a clear understanding of which concepts they understand, and which need more study, learners can adjust their study time to spend more time on the concepts and skills that need to improve. So design frequent assessments that inform learners on their progress. Daily quizzing. Wesp (1986) suggests for personalized instruction (isn’t all distance learning personalized learning at some level?) that daily quizzes can help students keep on track with making progress on their studies, particularly if the quizzes are designed in such a way that they don’t have a negative effect on poorer students’ grades. Informal writing. Besides regular quizzing, informal writing can engage students regularly with the content, and keep them focused on their learning. In addition, Warnock (2013) suggests that frequent grading gives student confidence and keeps the communication flow between teacher and student. Informal writing can include journals, reading responses, one minute responses, or muddiest point paragraphs. Please feel free to comment below. What other suggestions would you give for reducing procrastination? What do you see as the benefits of frequent engagement? Are there any examples where you believe these ideas don’t work? Please share. Warnock, S. (2013). Frequent, low-stakes grading: Assessment for communication, confidence. Faculy Focus. It’s Tuesday morning at USLDA, and I’m attending the first session of the morning: Creating, Gathering and Using Data with Karly Good from Grand View University and Sue McDaniel from A.T. Still University. ATSU’s College of Graduate Health Studies has 145 full time and faculty members in 34 states and two other countries offering 4 masters and 3 doctorate programs. Sharing data and communication among all these locations is challenging. Each program was keeping track of their own data. An example of an issue was a course that was cross listed with 3 prefixes – changing a textbook listing for one didn’t necessarily mean the others were changed. Data issues included accreditation, dissertations, grades, and more. At ATSU, they created a Access front end / mySQL backend database called IRMA: Integrated Records Management and Administration. They add 5000-6000 records a month. The instructional designers and academic advisers, associate dean, all have different front ends – Access Reports. They can access it from home via the VPN. All the online courses are built through the Access database. They add each little piece of a course – content, assignments, they connect all of it to the learning objectives and competencies. All the outputs are done in PDFs so that no one can change it. Faculty have to teach the course as it is, they don’t allow anyone to edit or change anything after it’s been through the development assignments. The instructional designer’s view has Courses, reports, Term Courses, Textbooks, and Faculty as the main menu. They build the courses in IRMA, and work through the syllabus items, core competencies, connections to learning outcomes; then a report gives them the HTML to copy & paste into the LMS. The database tracks all the pieces of the course development, the milestones, how far they’ve come etc. They can easily find a specific course that uses a particular tool, such as a wiki. The Associate Dean’s view has Faculty, Courses, Surveys, and more. The Faculty menu includes all the data on professional development funds, publications, demographic data on faculty and more. It has the course evaluation data that can be used to make staffing decisions for teaching the variety of courses. It’s so fascinating to me how scaling online learning requires us to manage information at an incredibly high level. This method is also a way to have easily at hand anything needed for an accreditation report. It is work on the front end setting it up; and also regular work always entering data; but wow! What an amazing tool. I also find it interesting that the idea of BIG DATA makes you think of buying some amazing product from a company; where in this case, someone with good database skills can build something valuable using what data already exists in a less organized format. At Karly’s institution, Grand View, their data comes from Blackboard and a SQL. They pull assignment and assessment data (rubric) and then they pull from their Student Information System as well as Blackboard. They have 7 rubrics for 7 core outcomes that gauge graduating students. You can see 4 year growth of students using the rubric over time throughout the whole university experience. They want to in the future include these rubrics in the Blackboard shell/templates – right now the faculty get the rubric from the University Portal to add to their course assignments. The curriculum committee on campus developed these rubrics as part of the university assessment. It’s built into core classes as well as within the majors. The rubrics are NO POINTS in Blackboard – so that the rubrics never affect the student’s grade. They are a secondary evaluation in Blackboard – you can choose not to show it to the students at all. It’s a four year rubric. Everyone is assessed on the same scale, freshmen and seniors, both. The students don’t see the results on this rubric – it’s not their grade. They use the Goals feature of Blackboard to align each criteria on the rubric to the goals. So far they have pulled the report 3 times. The next step is to be able to restrict access so that departments can see just their departments; and that faculty can see their data. It’s interesting to me also that you have an Instructional Designer and Instructional Technology Specialist diving into the data needs for accreditation and assessment. The merging of a variety of skills and needs across campus. Wow! Inspiration for a lot of work to be done! This afternoon I presented at the USDLA national conference. Here I am sharing my handout and the URLs that either I shared or attendees shared in the discussion. Create a persuasive video to share on YouTube. Sample assignment write up. Blog or discuss ways in which one’s personal life affects and is affected by the subject. Sample student blog. Analyze and critique an issue or case study. Apply the skills in context; document ability with video. Create a recommendation for a corporation in a real-world problem/situation – build on wikispaces. Create and share/narrate a mental map or conceptual structure of major concepts. Bubbl.us or Mindly the app. Have students access and interact with primary sources of content – i.e. TedEd and more. Fink Taxonomy and Tools PDF Handout – Permission granted to reprint freely. Please share any adaptations. While you focus on building your online course, keep in mind how you will be “present” in your online course. How will students feel that you are “there” in the course? Creating a sense of instructor presence is an important aspect to student satisfaction in online courses.So what are some ways to be “present” and visible to students? Be present in the discussion forum. Don’t overpower, but let students know you are there. 5-4-3-2-1: Countdown to Course Management (see pages 2,8): Tips for how often to interact with students in various ways in your online course. Live interactive sessions and video lectures also increase your presence in the course. Be yourself! Use humor, self-disclosure, and personal interaction to help students feel that you are human and really “there” in the class. Another crucial and often overlooked area of presence and teaching in an online course is feedback. Talk to your Instructional Facilitator for more ideas or assistance with applying these ideas to your course. Find these tips and more online in the Online Course Development Support Site. As you continue building your course, keep in mind a few principles to make your course easy to navigate for students. Does your course have an organization pattern that is easy to follow? Is your course organized by weeks or modules? Do you have an introduction to the course? Are assignments and activities labelled consistently within the syllabus, the schedule, and the layout online? Structure and routine in your course can make learning easier for your students. Is content presented more than one way? Reading? Watching? Hearing? Is the text large enough or can it be enlarged? Can students increase or decrease the sound on media? Is your course more than just lots of text? Does it have visual appeal as well? Are photos used appropriately throughout content? Do you have video clips, either from online or of your own lectures? Are image and media sources properly cited? Do students get to “see” you in the course? A friendly instructor photo provides a sense of instructor presence. Blogging the 2014 AECT International Convention. David Merrill: Instructional design needs to move to undergraduate. If you have a Masters, you’ll be a manager and you’ll manage people who aren’t trained in instrucitonal design – you need to create templates and tools to support the people under you. Vanessa Dennen: Everything new is old; and everything old can be new again; a new label is added to something – we panic; but actually we have foundational knowledge that still applies to the new tools. We have a challenge with accreditors looking for those classes on social media on your transcript, and of course they aren’t there; need to show how we apply foundational knowledge. I resonate with this; where my social media and videoconferencing expertise is not represented on my academic transcript, but instead via my digital footprint. Charles Reigeluth: Transfer from teacher-center to learner-centered systems. The implications for instructional theory; implications for what graduates will do when they finish. Joel Gardner: What are instructional designers actually going to be doing when they are working; what is the context in which they will be working; working with people, managing projects, using interdisciplinary knowledge; direct people to do instructional design; being a leader or manager – those with Masters or PhDs will be leaders or managers and may need skills in that area. Wilhelmina Savenye: Where are these degrees within our colleges; are we ed tech? we aren’t just that? how do our institutions see what we do? ; tension on proving our value; graduates are going into corporate, non-profit, government; there’s a lot of opportunity to prove our worth. Online Boom = Boom for Instructional Design? Merrill: Putting things online is getting easier and easier and the quality of the instruction is getting worse and worse; MOOCs the ultimate level of “shovelware” – put stuff online; study of 175 MOOCs to see if any of them have the First Five Principles of Instruction; a lot of stuff out there without quality; our contribution is not just HTML but that we have something to add in terms of instruction. We definitely need to continue to sell ourselves. Instructional design is an underappreciated academic discipline, and so is education in general. The way to sell, is to work with a few, the ones who are willing, and use those as examples to show what instructional design can bring to the quality of online courses. Gardner: In higher ed, a greater push to show accreditation that we have outcomes connected to what we are doing, instructional designers are especially able to do this. Instructional Design or Learning Design? Question: What about names – change from Instructional Design to Learning, Design, and Technology; or Learning Design and Technology; the word instruction or instructional is seen as pejorative. Should we be changing names? Dennen: If names are changed, does anything else change? Reiguluth: Learning is what happens inside your head; instruction happens outside your head. Instruction facilitates learning. Thinking. How does this conversation connect with the strands of behaviorism, cognitivism, and constructivism in AECT thinking? Pegi Flynt’s dissertation. Question: What ideas or rules do you have for young instructional designers? Dennen: Know your learners, your context, your objectives. Don’t let the technology drive the instructional design process. Instead of following a shiny object; start with what I know about supporting the learning process. Media selection is an important part of instructional design models and it always has been. What is happening now is that tools come out so quickly and are so accessible to everyone so quickly. Merrill: First Principles of Instruction – those principles are critical for whatever delivery mode you have – online, MOOC, face to face, blended, with ipads, etc. etc. Story: How to select the media. Put on a blindfold and go to your media closet and pick something. It’s not the media that matters. It’s the principles of instruction that matter. Question: Connections with brain-based learning? Reigeluth: It’s important to understand learning theory and instructional theory. Brain-based learning theory isn’t as practical of what specifically to do in the instruction. Learning and instructional theory can help bridge to when to use different methods of instruction. Question: Let’s connect back to leadership and management. My instructional design taught me about courses and modules; but I didn’t learn about selecting an LMS for my institution, for making decisions on personnel and resources, how to meet the requirements for programmatic and institutional accreditation. The accrediting bodies are now focusing on measurable student outcomes for the programs. The accreditors are parroting what we’ve said on instructional design, but they don’t know it as well as we do. Studies of ID programs found only 11% had leadership or management training. Are our programs able to provide this, or are we stuck too much at the course and learning outcomes level? Are we capable within our structure with meeting the higher leadership needs? or do we have to teach others what we know? Gardner: Our program is Instructional Design and Performance Systems – this helps students to see the big picture and the bigger system. We teach them how to see the process; but not how to lead people. What are the skills for leading in a knowledge society? Critical thinking skills, leading others, etc. Reigeluth: Our graduates go into so many different lines of work: museums, corporate, many different types of jobs. This makes it a challenge to provide what they need to be successful in their work. what market they want to go into – and what do they need to work in that area? Dennen: There is also a right moment for training; and some of our young students aren’t ready for leadership because they haven’t yet had very many years of experience. As junior instructional designers they may not be ready to take advantage of leadership training. It may be the job of employers or organizations to provide leadership training. chauvanistic men. Lots of leadership learning happened as they tried to sell their proposal to the client while working within a group. In this class they learned to meet deadlines and work with others. Gardner: So far our comments are around we use instruction to help people learn. Embedded in this discussion is the idea that we need to help people learn. We need to help our students learn how to be independent learners. I’ve learned by continuing to read after my PhD. We have to help people become independent problem solvers. Question: I vote against teaching instructional design at the undergraduate level because they aren’t interested in learning. At the undergraduate level, you have to have classes at 40-50 students. How can you teach higher order thinking skills with such large class sizes? You need to have a certain amount of life experience in order to learn how to be an instructional designer. … We are starting to run into people in the field who are using SAM or AGILE and moving away from ADDIE. How do we address that? Gardner: At our institution, the dean said we are going to be agile now and we’re going to do SAM instead; but our IDs don’t like it. It does seem the same as ADDIE, but there are more iterations. Merrill: He’ll be debating SAM in an upcoming TechTrends. After 50 years in the field, it is fun to see the same ideas keep coming around and around. It’s possible to teach undergraduates and international students First Principles of Instruction at the undergrad level. There are ways to use technology to deal with 40-50 students. Merrill: Don’t just design a bit; design a shell so that you give designers assignments to fill in the shell. Create an interaction template in PowerPoint; and then you can plug in other content. Teach masters students how to design a shell. You don’t need expensive authoring tools. Joel Gardner’s blog post: What is the Difference Between Instructional Design, Instructional Science, and Instructional Technology? I’m new to AECT, and some colleagues recommended that I attend the Breakfast with Champions on Thursday morning. I’m also new to higher ed educational technology. AECT seems to consider itself THE organization for educational technology and instructional design for higher education. My take is that it is much more research-based and less cool-tool-based than ISTE; more like AERA in it’s research and theory focus. Because my training is in K12 ed tech, online learning, and leadership, I’m not yet familiar with the big names at this convention. So, I’m doing my own little investigation here to get a feel for the conversations that happen via AECT events. So I’m listing here the names for the Champions Breakfast, and then linking to info about them, and what their main field/area of research seems to be at a quick glance. I welcome comments and corrections! Patricia Young, University of Maryland Baltimore Co. Universities are starting to give scholarships for esports; the U.S. is starting to give visas to pro-gamers. One way to gamify a whole course is to create role play throughout the whole course. I would love to do that! A video game is just a set of problems – you have to solve them in order to win. Connect that to problem based learning; problem posing learning – students learn to pose problems or forecast them. The theory of learning behind games is quite different than regular learning. It’s much more complex than in school. If games couldn’t teach you, they would go broke. We teach the way we do because of the tests. We have to change the assessment, because it drives the teaching system. You wouldn’t be tempted to give a gamer a Halo test; if he finished the game, he already knows it. The learning system should be so immersive that the assessment is built in. Situated and embodied learning – can you DO stuff with your learning? Learning – you need to be able to USE and ARTICULATE your knowledge. Adaptive learning – you can’t move on until you are expert at that level. That’s a gaming concept also. Games are one-on-one – the gamer is learning at their own level. It’s individualized instruction. The differences of a game where the concepts are all connected in the game vs. where you answer a math problem and then get to move a car forward – but those two are connected. One thing to watch out for with using off the shelf games is that students can be frustrated that the fun is taken out of the game because it’s been “school-ified”. Game mechanics for gamification – feedback loops, iterative sequences for learning, levelling up with a reward system, may have real-life ramifications. Immediate feedback and self-reflection. Issue of extrinsic motivation vs. intrinsic motivation. There aren’t enough studies to really say that extrinsic motivation are a detriment to intrinsic motivation. The trick is really designing the curriculum around the game – and the creativity of the teacher. Affinity space is the location, metagaming is the activity there, and paratext is the product of the collaboration/community. There are communities around this – virtual communities, or playing with family, brothers, parents, uncles, in a real human interaction around the game. Well, of course! We have human interactions around Scrabble too! Types of writing around gaming: fan fiction, machinima, walkthrough, maker spaces. One of the participants is from Elcelsior College. Their Center for Game and Simulation-Based Learning. They have worked out several levels of integrating gaming in learning; but it’s not online yet. They are building a formal structure to support faculty in integrating gaming in their teaching. The Whole Life Challenge – affect lasting change in your life. It would be interesting to build a course around this type of habit forming game. Hmm. YouTube as an affinity space to find videos about minecraft modding and add comments. Papercraft – physical representations of minecraft. Abrams, S. S, & Gerber, H. R. (2013). Achieving through the feedback loop: Videogames, authentic assessment, and meaningful learning. English Journal 103(1), 95–103. Gerber, H. R., & Price, D. P. (2011). Twenty-first-century adolescents, writing, and new media: Meeting the challenge with game controllers and laptops. English Journal. 101(2) 68-73. Lee, J., & Pass, C. (2014). Massively multiplayer online gaming and English language learning. In H. Gerber & S. Abrams (Eds. ), Bridging literacies with videogames (pp. 91-101): SensePublishers. Welchel, A. (2007). Using civilization simulation video games in the world history classroom. World History Connected, 4(2). Things I noticed that worked well in how they ran the workshop.